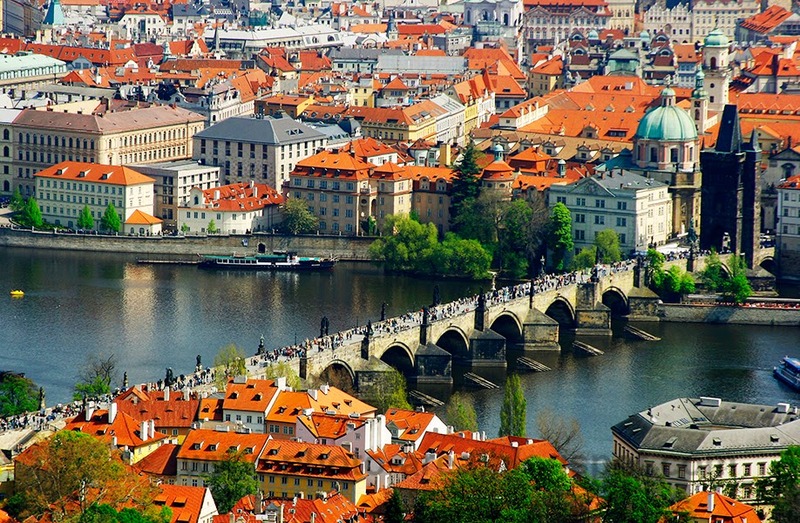 The most famous bridge in Prague and roofs of the buildings from the old city center. The construction of this beautiful bridge started in 1357, so it has quite a respectable age! It is 621 meter long and it is decorated with proximately 30 statues (never counted them precisely! ).